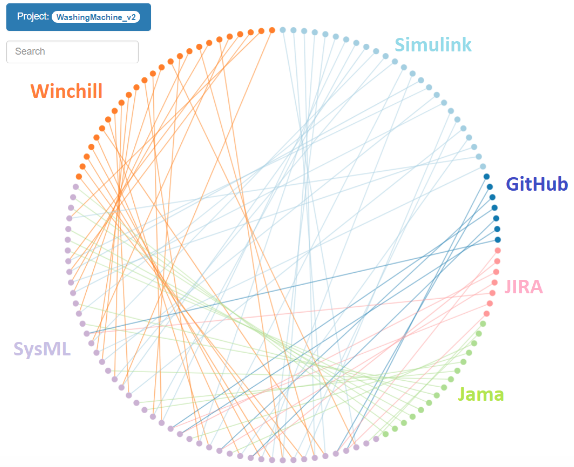 Stronger query methods were needed to support the TSM visualizations. In this, the final part of this series, we will start to incorporate these elements and introduce the power of graph database technology and query languages for our modeling efforts. In our MBE process, we have begun by introducing the concept of Features, representing user-critical capabilities of the system. The full set of Features and their SysML relationships can be examined in the MagicDraw and Rhapsody SysML models that can be downloaded using the links at the end of this article. Figure 2 shows a global visualization of the six tools connected by Syndeia and the inter-model connections between them. Even though this is a simple and incomplete model intended to show some of the principles of MBE rather than fully model a real product, we still have 79 inter-model connections linking 126 model artifacts in six different models. It also raises the question as to how to identify a single connection, or even an extended chain of connections, between specific elements that can provide traceability across the TSM. 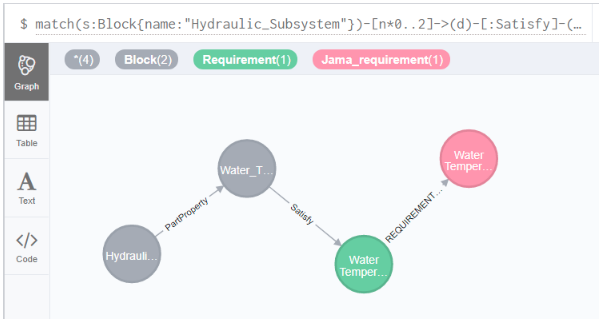 Figure 3 Neo4j graph database query, “Show all Jama requirements connected to Hydraulic Subsystem block”. Graph database technology has progressed dramatically in recent years, powering the gigantic social media networks. Tools like Syndeia are now bringing that power to systems engineering. In Syndeia 3.1, the inter-model (Syndeia) and intra-model (SysML) connections can be exported to a Neo4j database and explored using the Cypher query language. Figure 3 asks for all Jama requirements impacting the Hydraulic Subsystem SysML block (or its parts to the second level). The result shows that our model has only one, for Water Temperature. 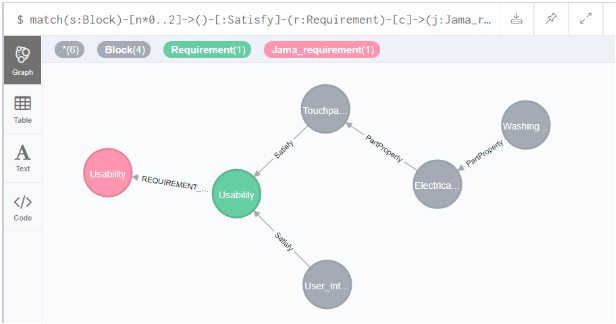 Figure 4 Neo4j graph database query, “Show all blocks connected to Jama requirements for Usability”. Figure 4 reverses the sense of the previous query and asks for all SysML blocks affected by a specific requirement. This returns a combination of blocks, including both a Feature (User Interface) and a hierarchy of hardware components starting with Touchpad Display. Using these queries, the Syndeia user can identify the impact of requirement changes, diagnose the source of system behavior problems, and address many other critical system engineering issues. Alerts a plumber if a water hose breaks and floods the house. The availability of good MBE tools and processes will be critical to exploiting these opportunities.